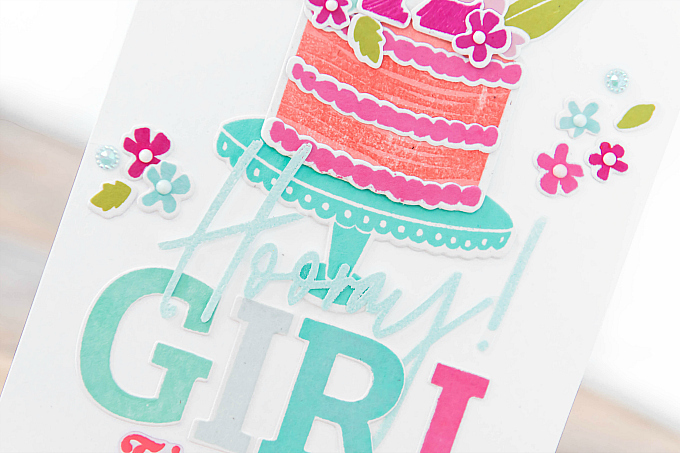 Today, I have another favorite to share that features three stamp and die sets. Make a Wish stamp and die set, Scripted Bold Sentiments 1 stamp, and Adore Alphas stamps and dies. To start my card, I decided to begin with the assembly of the pretty cake, again using the inspiration graphic on the back of the stamp set. I switched up the colors, but following the design helped me familiarize with all the little pieces in this set. There are SO many sweet details included here, the possibilities are endless. 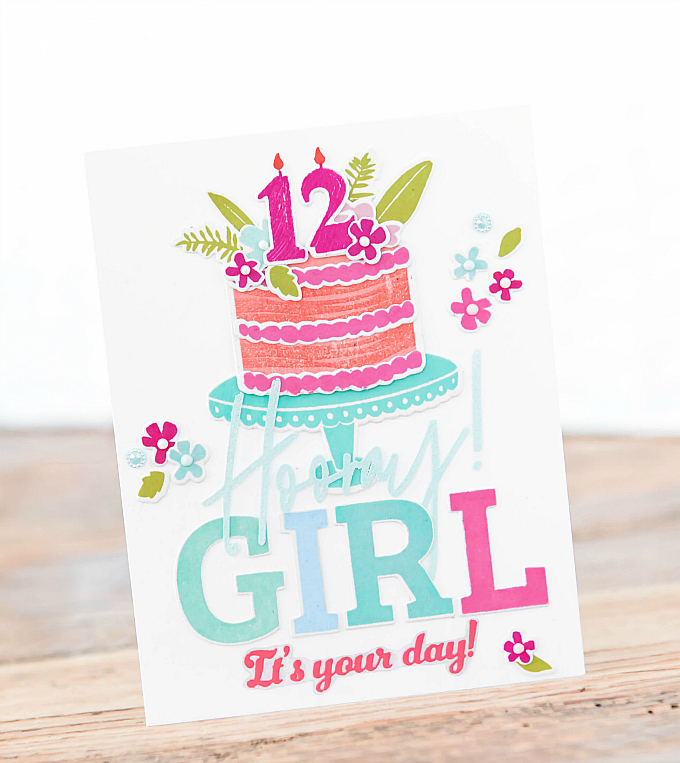 Whether you want to do a floral background, a cake with candles, or numbers or florals or icing, the sky is the limit! 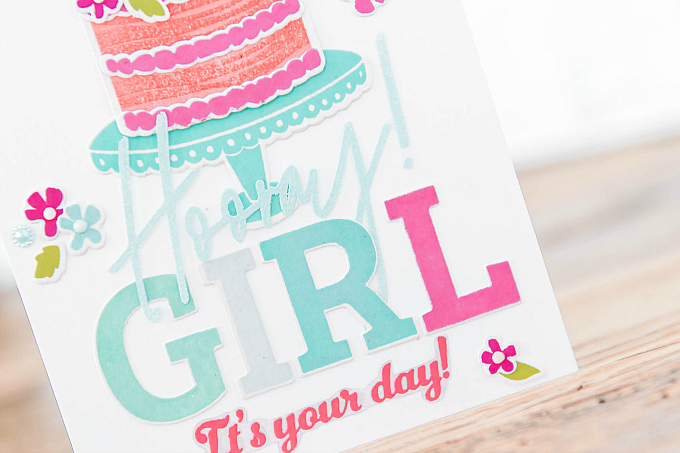 Next up, I wanted to mix up some of the fonts and sentiments from this release, so I used the Scripted Sentiments 1 stamps set to stamp and heat-emboss on some acetate. 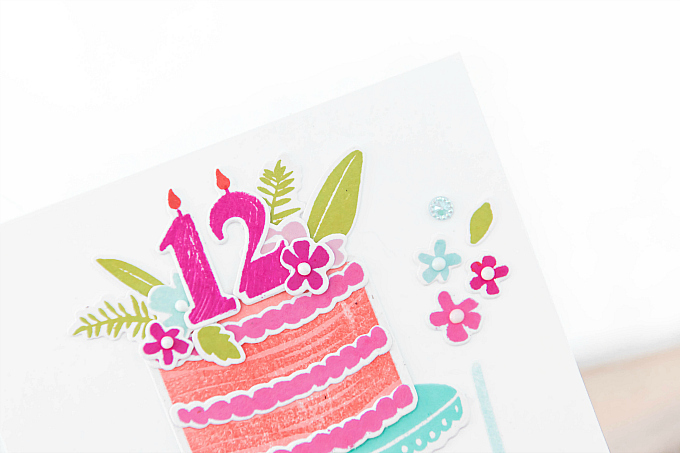 Heat-embossing on acetate can be fun and easy! Just remember to use heat-resistant acetate, and your anti-static pouch beforehand. For stray bits, it helps to have a fine brush on hand. To further help any warping, it is super helpful to pre-heat the embossing tool before heating acetate. I then used my scissors to fussy cut the sentiment out so I could layer it over the beautiful Adore Alphas. I hope you enjoyed today's stamp and die mash-up! Thank you so much for visiting! 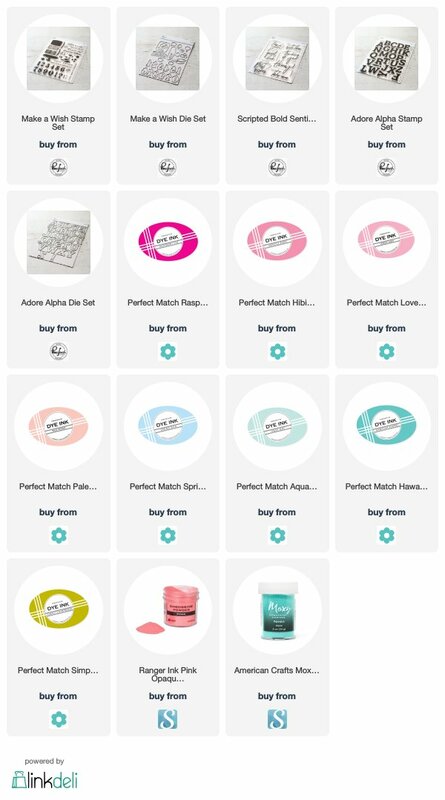 Do you have a favorite from this month's release? You can tag your art, or click below on the hashtag to go to the public page where you can view art that's been added by friends of this blog, as well as a heap of cards from me! 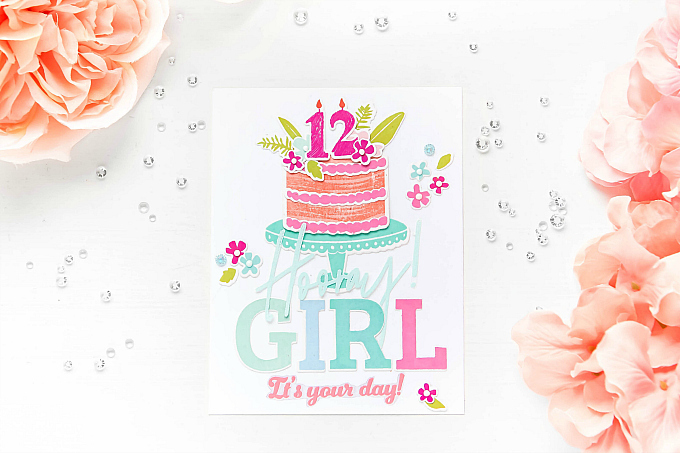 There's a 12 year old girl out there who is going to feel extra special when she receives this pretty card! From the top of the number candles to the bottom of that delightful layer cake, this is delightful!